What a wonderful world it would be if anyone could afford a massage whenever they please? But since this is not the case, we can turn to other alternatives that are just as useful and as soothing as a real human massage. By alternates I refer to massage chairs as they are in fact an investment in the overall health, because we all know the amazing benefits have to offer. Back in the 1980’s the consumer market introduced a chair that seemed as if it was brought from the future because its manufacturers claimed it can give massages. It was intended to emulate the motions and techniques of an actual masseuse and its goal was to alleviate back pain and relieve stress and tension, just like normal massages do. It all seemed very attractive back then, but due to the poor technology applied to the chair, the final result wasn’t really that sensational. As technology advanced, massage chairs became much more capable of reaching the formerly desired goal. Today the market is filled with a great number of quality massage chairs that use different techniques and feature different components. Although the world of massages is vast and versatile, massage chairs offer two of the most used massage techniques: the Swedish and the Shiatsu massage. The Shiatsu massage includes pressing, rolling, patting and rotational movements and its defining characteristic is releasing tension in specific parts of the body. The famous Swedish massage, on the other hand, is known for the long gliding strokes and the pleasing kneading motions. The aim of the Swedish massage is proper and strong blood circulation which helps the body relax and rest properly. 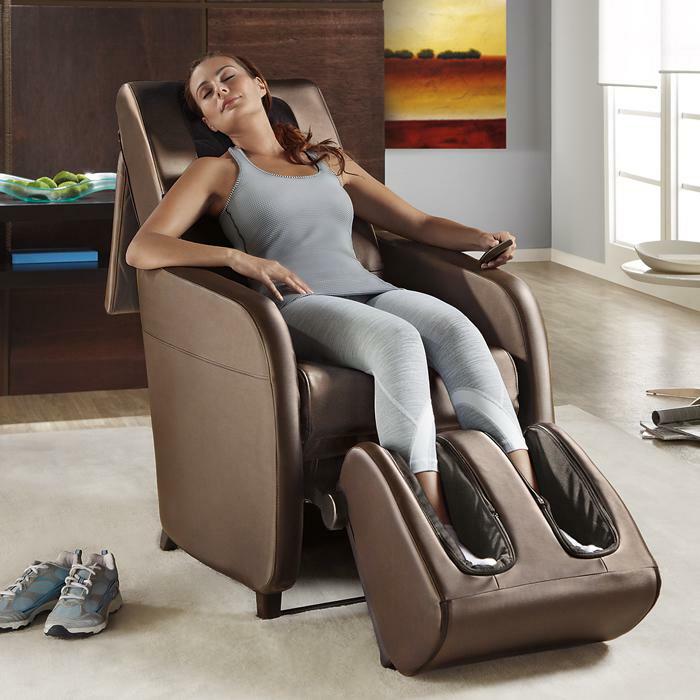 Normally we associate massage chairs with huge malls where we usually pay a few dollars to relax after a long shopping spree, but imagine having these wonderfully comfortable chairs at home! So why not save up some money and look for a massage chair for sale that will become the piece of furniture that everyone in the family wants to own exclusively for themselves. And thanks to the stores that offer massage chair for sale, they can become the new favorite relaxation nook for the whole family.